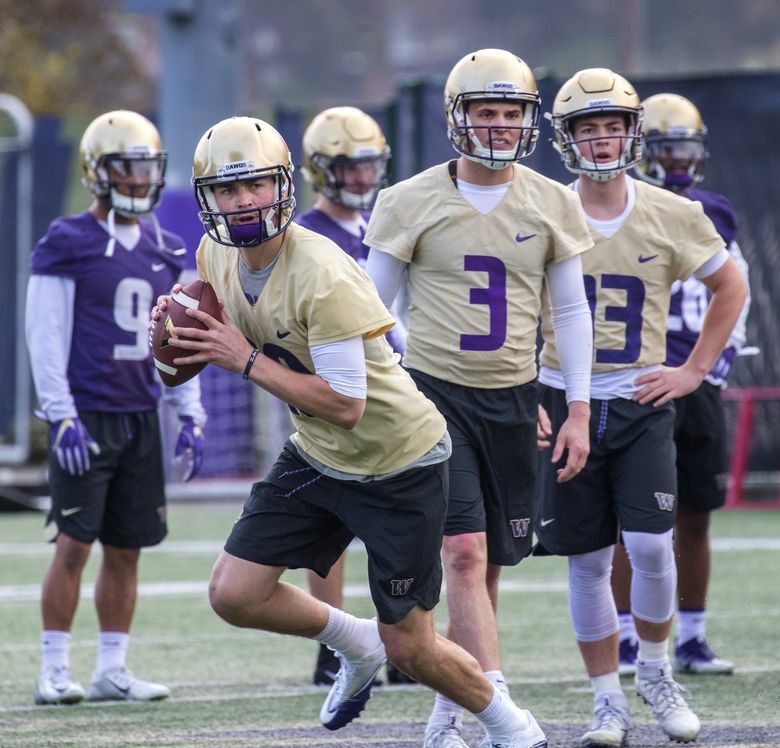 UW Huskies 2019 outlook: What will offense look like with Jacob Eason, Salvon Ahmed in backfield? 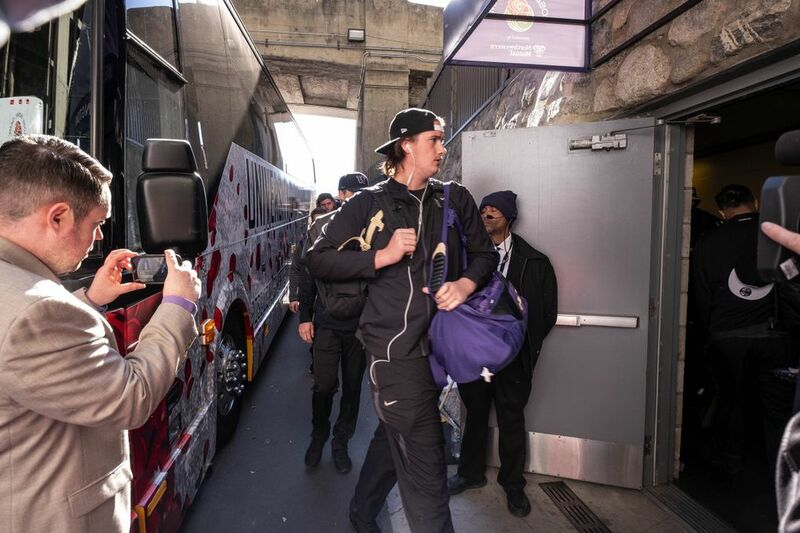 No more Jake Browning. 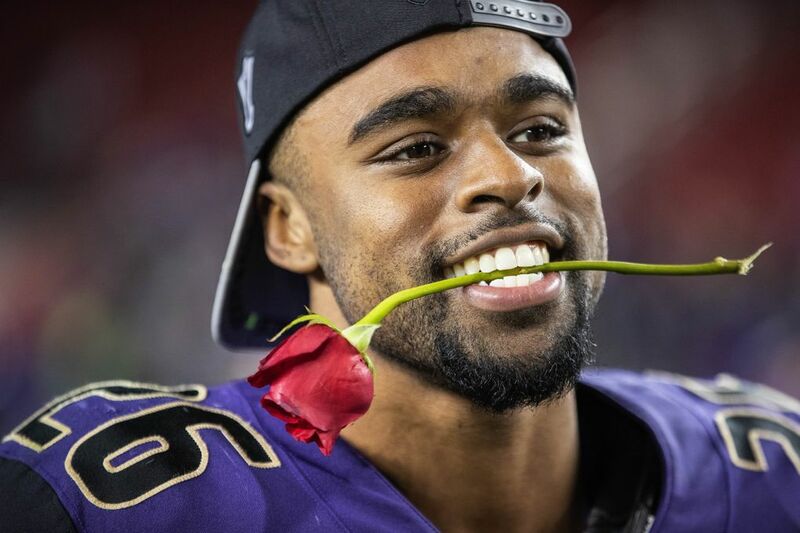 No more Myles Gaskin. It's a new era for the Husky offense, and there is reason for optimism. Here's a position-by-position breakdown of a new-look Washington attack. The No. 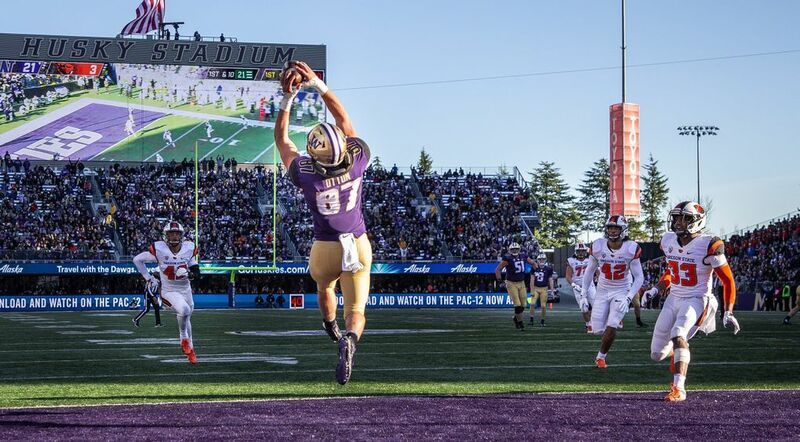 1 priority for the Washington Huskies this offseason is, without a doubt, to reinvigorate an offense that ranked as the least productive in Chris Petersen’s 13-year head-coaching career. The Huskies ranked eighth in the Pac-12 in scoring at 26.4 points per game in 2018, and all they have to do this offseason is figure out how to replace the most productive quarterback in program history and the most productive running back in program history. Here’s the good news: Outside of the record-breaking backfield of Jake Browning and Myles Gaskin, the Huskies return the rest of the offense almost entirely intact. Even better: They have capable answers at quarterback and running back, and even it’s fair to hope for an upgrade in production at both positions going into 2019. It’s a new era for the Husky offense, and there is reason for optimism. The Huskies are set to return seven regular starters on offense, including four starting offensive linemen, two regular starting receivers and a rising tight end in Cade Otton. That doesn’t count another tight end — junior-to-be Hunter Bryant — who, when healthy, is the team’s best pass-catching option. Eason will be the starter when the Huskies open the 2019 season against Eastern Washington on Aug. 31. Jake Haener, entering his sophomore season, will get every opportunity in spring ball and fall camp to make an impression, but few quarterbacks in college football offer the kind of upside Eason has with his right arm. If all goes well for Eason in 2019, there’s a good chance he’ll enter the NFL draft a year early, and the real QB competition would then start in the spring of 2020. For now, Haener is a solid No. 2, and Jacob Sirmon, Colson Yankoff and Dylan Morris — who enrolled in classes earlier this month — will compete for the No. 3 job. Outlook: Could Salvon Ahmed be the next great Husky running back? Ahmed rushed for 996 yards, averaging 6.0 yards per carry, and 10 touchdowns in two seasons as the backup to his close friend Myles Gaskin. Now he gets his turn as the featured back. We’ve seen glimpses of Ahmed’s potential. He had a combined 20 carries for 134 yards and three touchdowns against Oregon and Colorado when Gaskin was out with a shoulder injury. But the following week, he was held to minus-2 yards rushing on eight carries at Cal. What is Ahmed’s ceiling? “I don’t think anybody’s seen it yet,” Gaskin said in August. “I’ve seen him do some things like, ‘Man, did you just do that?’ He plays football at a thousand miles per hour.” There’s good depth here, with Sean McGrew (50 carries, 226 yards, 1 TD) looking capable of carrying a greater load, and Kamari Pleasant offering a bigger change-of-pace option. Richard Newton was out with a shoulder injury for part of his redshirt season, and will be a wildcard going into the spring. Outlook: Still so many questions out wide. The 2018 season was an inconsistent one for the wide receivers, prompting a change at the position. 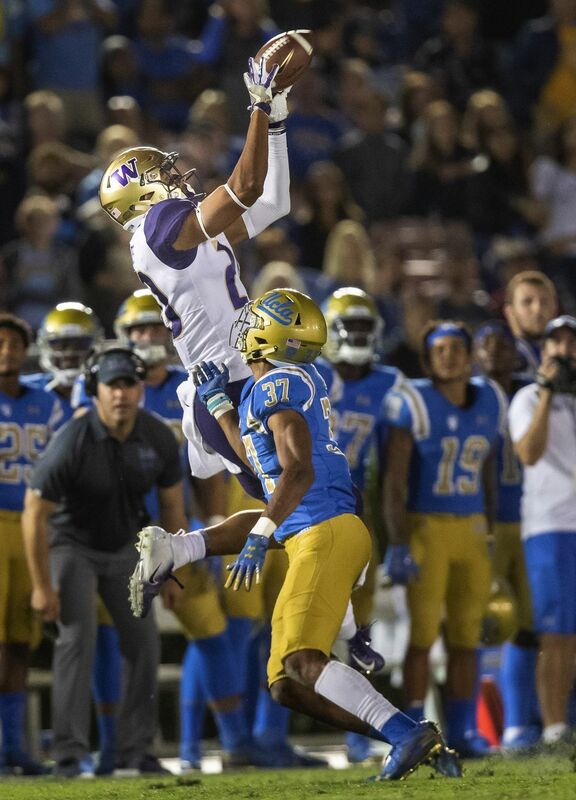 Petersen last week hired Junior Adams to coach the receivers, and Adams’ immediate priority will be to recruit a top-end receiver (or two) to add talent to a position in need of it. Back are Ty Jones, Aaron Fuller and Andre Baccellia, who had an encouraging breakthrough in the Rose Bowl with 12 catches for 109 yards. The biggest storyline for the receivers in 2019 will be the development of touted redshirt freshmen Marquis Spiker, Austin Osborne and Trey Lowe. It seems telling that, of the three, only Lowe (with brief cameos in the Pac-12 title game and the Rose Bowl) played at all in 2018. Can any of them make a meaningful contribution next fall? The status of seniors Chico McClatcher and Quinten Pounds remains up in the air. Pounds, the Huskies’ best deep threat the past two seasons, suffered the third torn ACL of his career midway through the 2018 season. McClatcher, after two major injuries in his left leg in 2017, stepped away from football in October. Petersen at the time expressed optimism that McClatcher would return at some point. The Huskies graduate Drew Sample, a solid two-way tight end who is participating in the Senior Bowl this week in Mobile, Ala. The Huskies didn’t sign a tight end during the December signing period, but they do have an offer out to three-star TE Kyle Patterson of Gilbert, Ariz.
Outlook: A lot to like here. Four Rose Bowl starters — Trey Adams, Luke Wattenberg, Nick Harris and Jaxson Kirkland — are back, and senior-to-be Jared Hilbers started 11 games while Adams was out with a back injury last fall. Adams was a first-team all-Pac-12 selection in 2016; Harris was the all-Pac-12 first-team center last fall; Kirkland played every meaningful snap at right guard as a redshirt freshman; and Wattenberg was probably the most improved lineman on the team. Beyond that, the Huskies should have the best depth they’ve had at the position during the Petersen era. Adams’ return for a fifth season is a massive boost, and after injuries derailed his 2017 and 2018 seasons he will be plenty motivated going into his final year. Henry Roberts is a versatile veteran capable of filling in just about anywhere, and Henry Bainivalu seems poised to take on greater role in 2019. Kaleb McGary has been a rock at right tackle the past four years, and the competition to succeed him — between Hilbers and Bainivalu, among others — will be intriguing. Count on that to carry deep into August.